While recipes aren’t a big part of this website, from time to time, I come across a product so good, that I have to tell you about it. I did a livestream of my favorite subscription box, Butcher Box, last month, and it was so popular, I’ve repeated it this month. 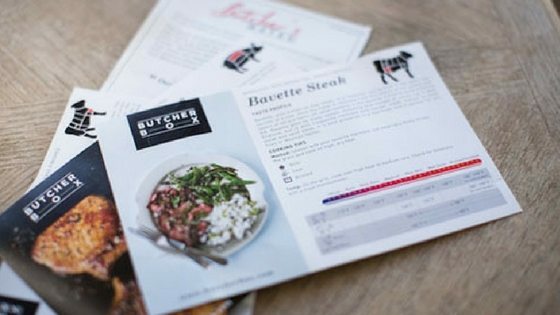 If you haven’t heard, ButcherBox is a subscription box that offers sustainably-raised and sourced grass-fed and pasture-raised beef, pork, and chicken. I get one sent to our farm every month – the all beef box – and I love that I can have grass fed, organic meat sent right to my house – something that’s otherwise inaccessible in our area. We choose the beef box because we can raise pigs and chickens….but not cattle. I started a search for organic, humanely raised meat a while ago – I was tired of staring at hormone-raised, corn fed beef at the grocery. It wasn’t even fresh. It’s a joke. If you’re looking for healthy, organic food that’s humanely sourced and raised, then watch the video below & see why I love this subscription box so much. 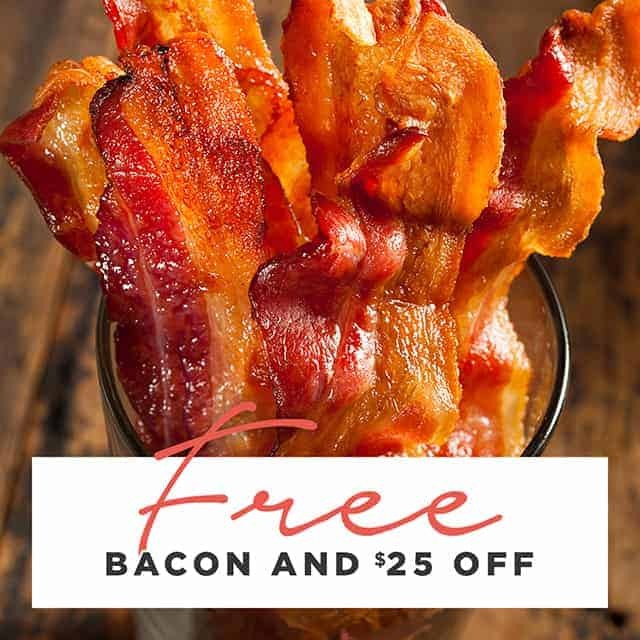 Don’t even try to tell me you don’t want free bacon. The world turns on free bacon. It’s a good deal – check it out! 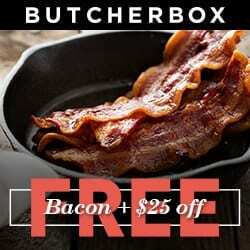 That’s also my affiliate link, which means that when you treat your family to ButcherBox through that link, I earn a small commission, which allows me to feed my kids more organic grassfed beef. So thank you if you use it! Enjoy the video! I’ve tried The Butcher Block’s special order beef box. I thought it was very good. We raise our own cows to eat, so we are use to very good, very little fat or gristle in our beef. We were running low on beef & it would be a while before the next cow was fattened enough to butcher. I thought it was a great time to check out The Butcher Block. I wasn’t disappointed, it met my usual standards, which r a lot higher than store beef. Store hamburger has a terrible smell when u cook it, compared to the Butcher Block & our own beef. It was tastey, a lot of flavor, very nice meat, would order again if I need beef!!!! !